The retirement of Pope Benedict XVI and the conclave to elect a new pope will take place in Rome but plans to pray for both are underway in the Archdiocese of Philadelphia. 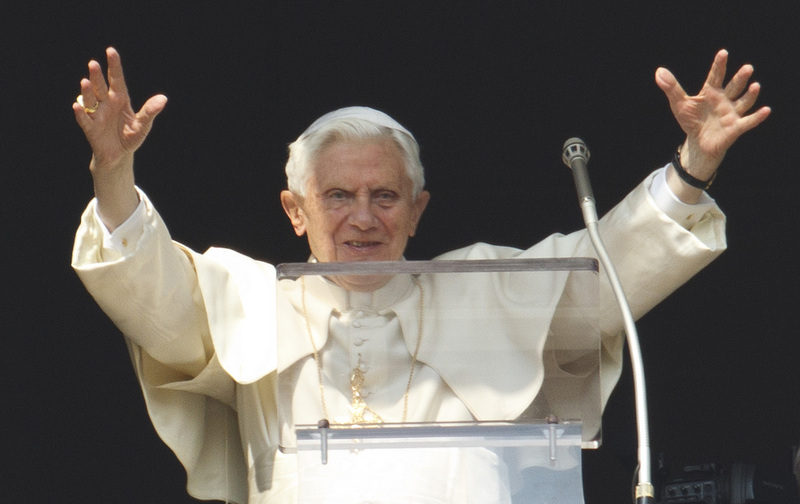 Top among them is a Mass to be celebrated 6:30 p.m. Sunday, Feb. 24 for Pope Benedict at the Cathedral Basilica of SS. Peter and Paul in Philadelphia. Archbishop Charles Chaput will be celebrate and preach the homily for the Mass, to which everyone is invited to attend and priests are invited to concelebrate. The Mass comes only four days before the pope resigns officially at 8 p.m. Rome time on Feb. 28. According to a Feb. 18 memo to all priests from the archdiocesan Office for Worship, all Catholics in the archdiocese are encouraged to pray special prayers in the last days leading up to Pope Benedict’s retirement. Prayers for the pope should also be included at Mass for the Feast of the Chair of St. Peter the Apostle on Friday, Feb. 22. After 8 p.m. on the 28th, the Church enters the period of “sede vacante,” or vacant seat of the pope, during which Catholics are encouraged to pray for the cardinals electing the new pope in a conclave whose start date has not yet been announced. Archbishop Chaput will again lead the effort by celebrating Mass at the Cathedral at 6:30 p.m. Sunday, March 3. All faithful and clergy are invited. Once the new pope has been elected, Archbishop Chaput will soon after celebrate a 6:30 p.m. Sunday Mass at the Cathedral. The Worship Office encouraged schools and religious education programs at all levels, and other institutions in the Archdiocese, to arrange where possible additional “occasions for the Liturgy of the Hours or a Liturgy of the Word or Eucharistic Exposition or devotional prayer,” in addition to the celebration of daily Eucharist, to pray for Pope Benedict, the cardinals and the new pope. For more details contact the Office for Worship at 215-587-3537 or via email at worship@adphila.org.